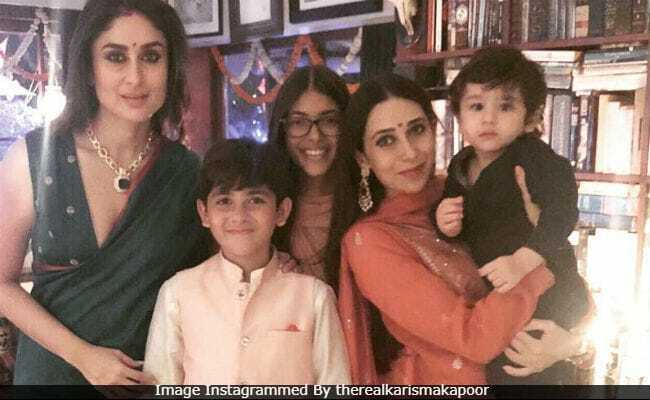 One picture that stands out from Kareena and sister Karisma Kapoor's Diwali parties is a photo of them with kids Samiera, Kiaan and Taimur. Karisma treated her Instafam to the wonderful picture on Thursday afternoon and it will surely drive away your mid-week blues. Kareena and Karisma, dressed in their festive best, stand on both the sides while is sandwiched between them. Kiaan stands in front of Kareena and little Taimur is cradled in maasi Karisma's arms. He looks cute in a black kurta pyjama set. "Mama's and their babies," Karisma captioned the post, adding hashtags like 'About Last Night' and 'Only Love.' 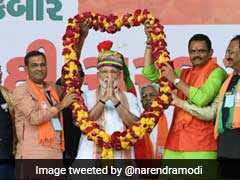 The picture courtesy goes to Kunal Kemmu. Kareena, her husband Saif Ali Khan and Karisma kept themselves busy during Diwali. They were spotted at the high-profile Bollywood parties hosted earlier this week. 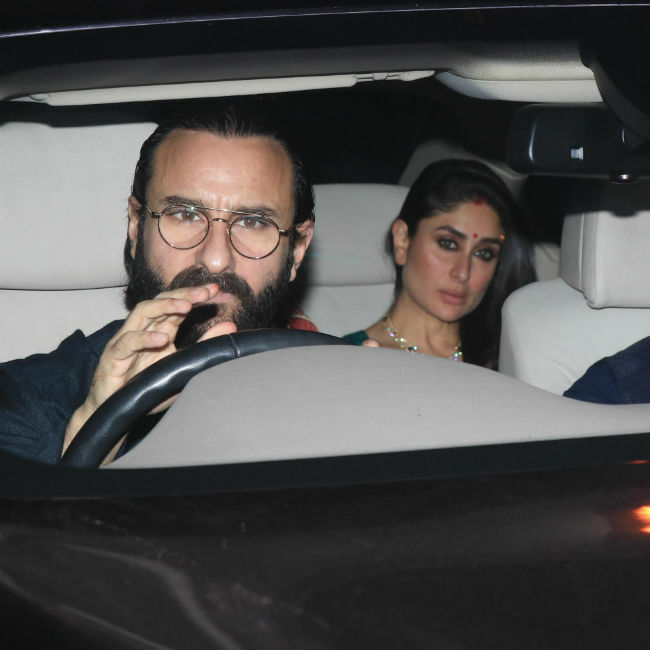 Kareena and Saif also threw a Diwali party for their family and close friends last night. After the house party, the trio were spotted at Karan Johar's Diwali party. Indeed, they had a blast on Diwali. Kareena married Saif in October 2012 and Taimur was born to them in December 2016. 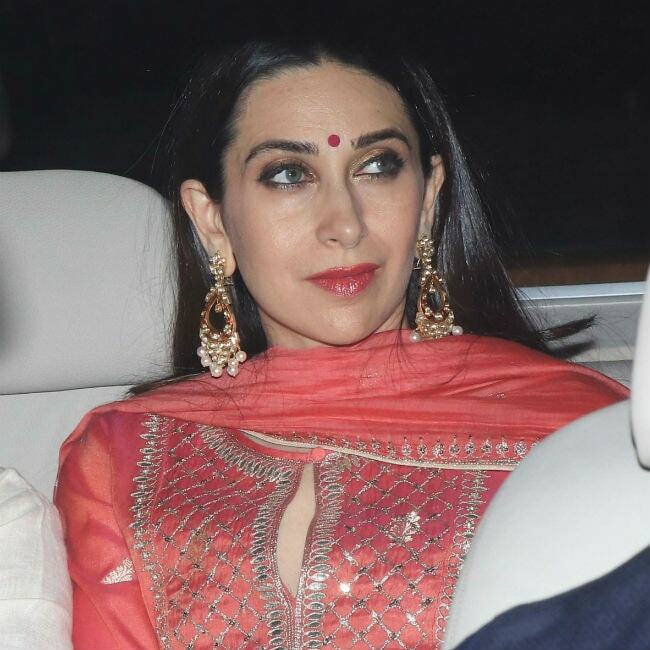 Samiera and Kiaan are Karisma's children from ex-husband Sunjay Kapoor. On the work front, Kareena, who was last seen in Veere Di Wedding, has signed up for Takht and Good News. Saif, whose film Baazaar released recently, has the work-in-progress Hunter in the pipeline. Meanwhile, Karisma hasn't announced her next project yet. 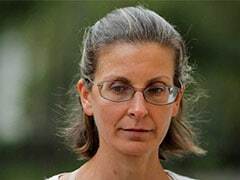 She hasn't made any screen appearance after 2012's Dangerous Ishhq.